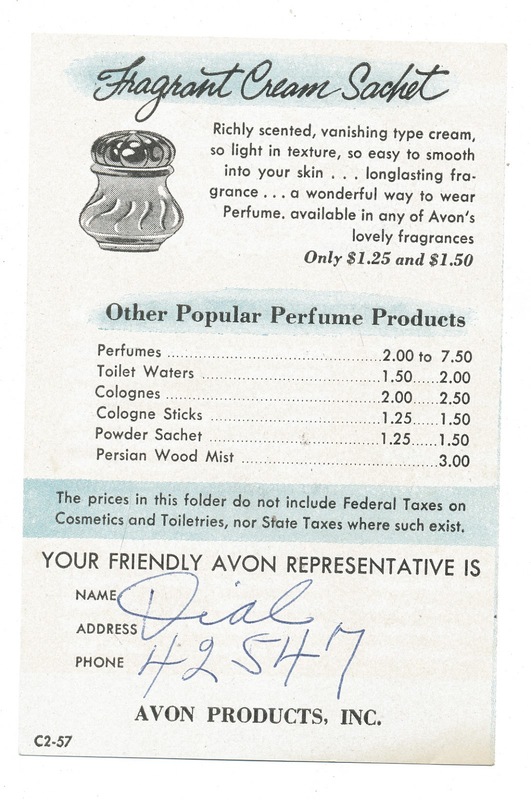 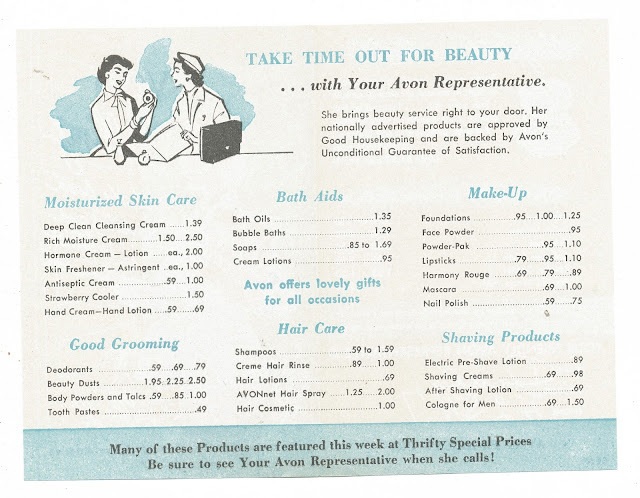 Avon Products catalog, I believe the number on the rear panel indicates it is from 1957. 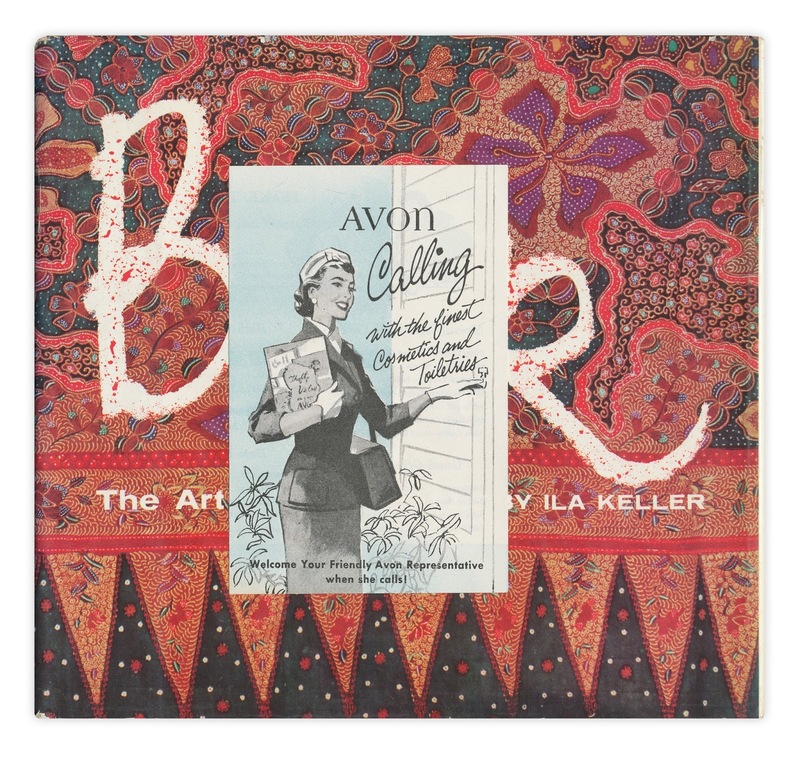 Found in "Batik: The Art and the Craft" by Ila Keller. Published by Tuttle, 1968. Seems odd to hang onto the flyer for so long, but indeed, 1957 seems right according to a google image search for "women's suit" and finding matches for the saleswoman.